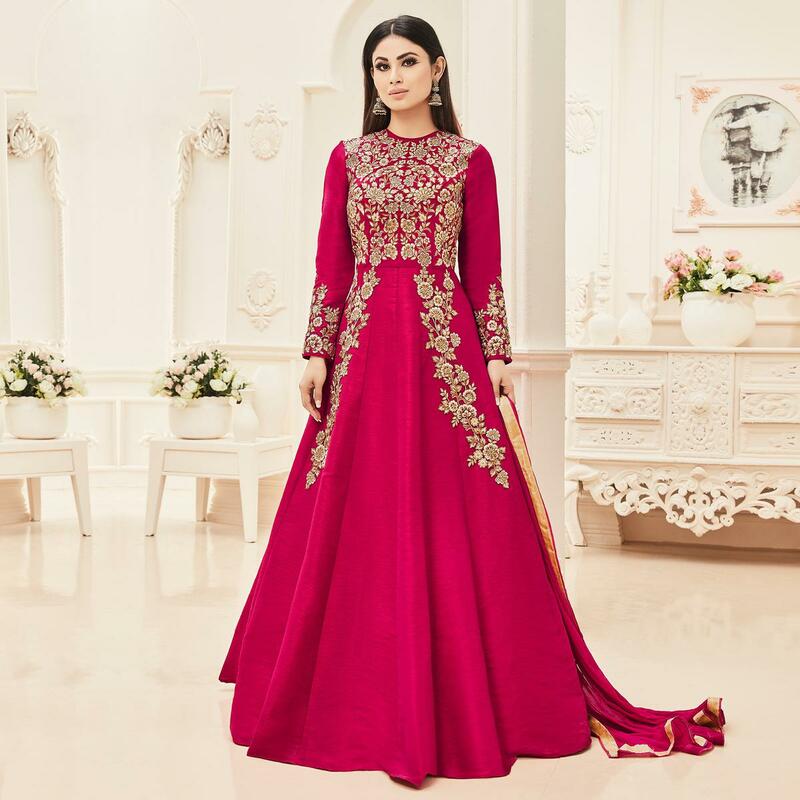 Make your parties or function memorable wearing this beautiful pink floor length anarkali suit. This semi stitched suit is designed using cotton silk fabric having heavy embroidered work in floral pattern at yoke, sleeves and kalis of the kameez. 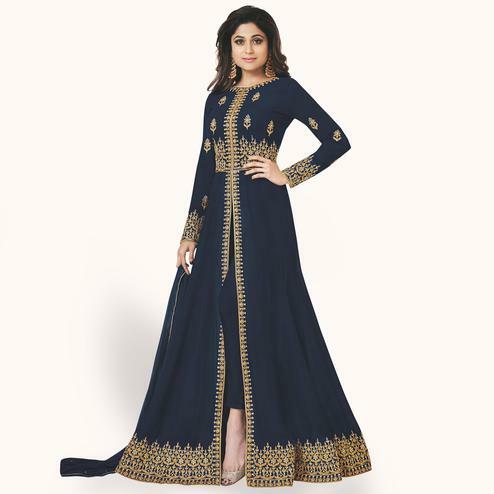 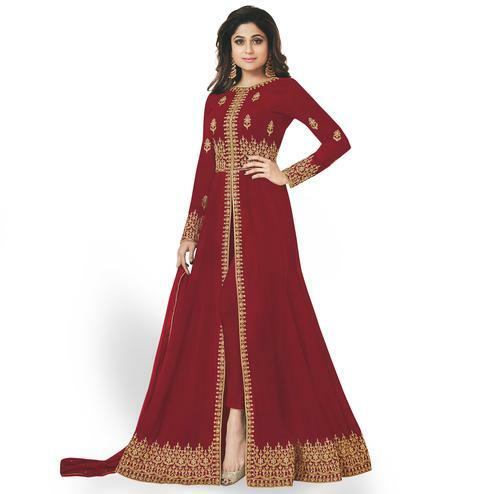 This dress also includes matching santoon bottom and chiffon golden lace border dupatta.